Coffee Alarm Clock « Adafruit Industries – Makers, hackers, artists, designers and engineers! How many of you have been late to class, or any other obligation, because you pressed “Snooze” on your alarm clock and went straight back to bed? Better yet, how many times have you had to skip out on your morning cup of joe because you pressed “Snooze” too many times? With this alarm clock, that is no longer a problem. 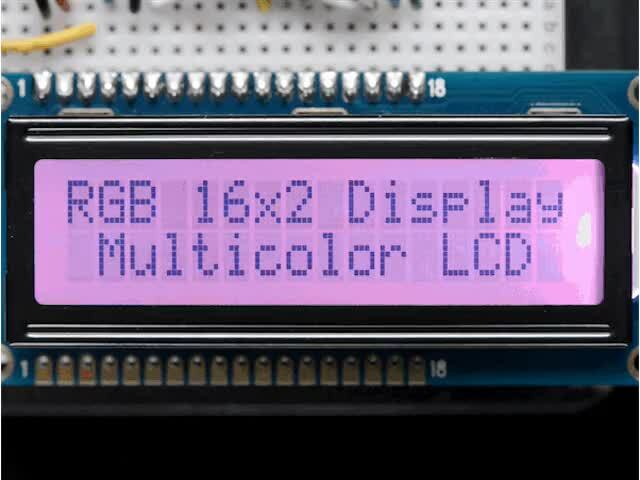 This project requires two different particle photons: one to control the servo motor and one to control the LCD, buzzer, and photo resistor. The LCD serves as the alarm clock. 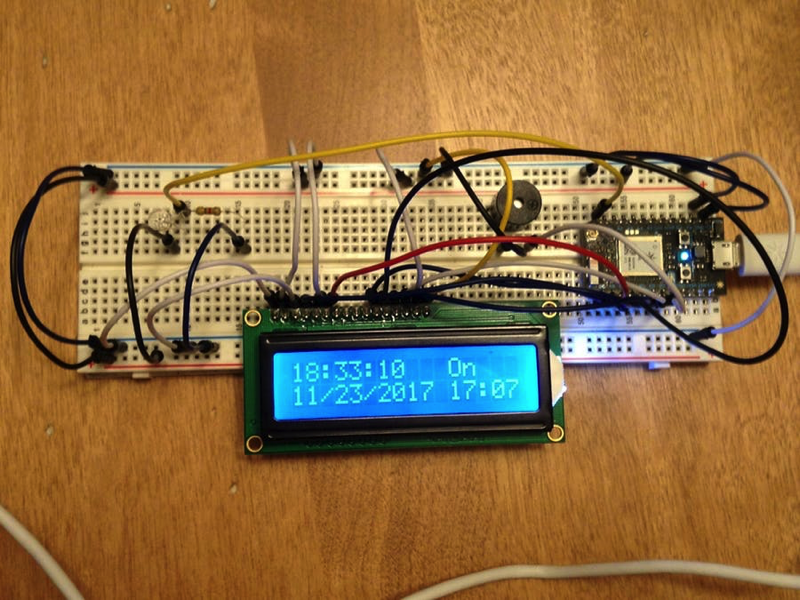 The time of the clock is controlled through the coding, while the time of the alarm is controlled through an IFTTT applet. When the alarm goes off, it keeps going off until the photo resistor senses that the lights have been turned on. Once the photo resistor senses that there is enough light, it signals the other particle photon to start moving the servo motor, which in turn starts brewing the coffee. The servo motor is programmed to move just far enough until there is enough force to push the start button on the coffee maker. The servo motor then moves back to its original position. When the coffee is finished, the particle photon will send a text to your phone saying that your coffee is ready.